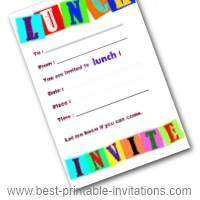 Need a free printable lunch invite for your luncheon party? 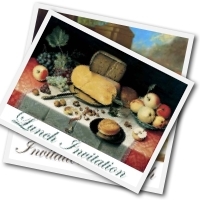 Lunch parties can range from informal get-togethers to large business functions. And everything in between. But is there an invite that is suitable for all? I think there is. This black and white modern invitation is very striking and attractive. A simple but sure way to please your guests. 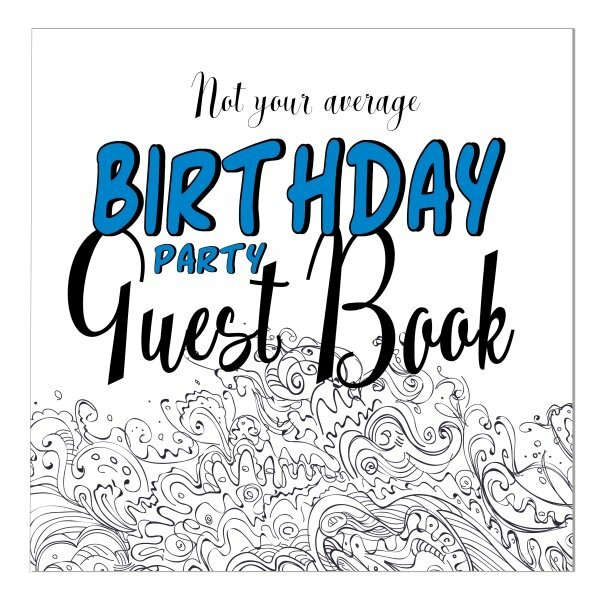 The elegant invites fold to make a card with space to write your party details. Inside you will find plenty of room for sharing directions or other details. Fabulous black and white pop-art design. This eye-popping design makes a striking invite. 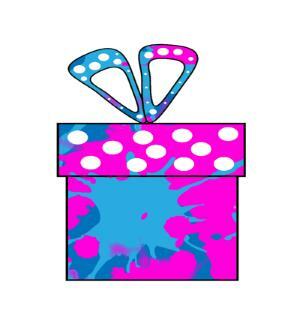 The minimal use of color also saves your printing costs! This is a really striking design and looks fabulous printed out. Very different and unique. If the colors a little stark for you, then try printing it out onto colored paper for a softer or brighter effect. Make sure your printer is working properly before you start printing. 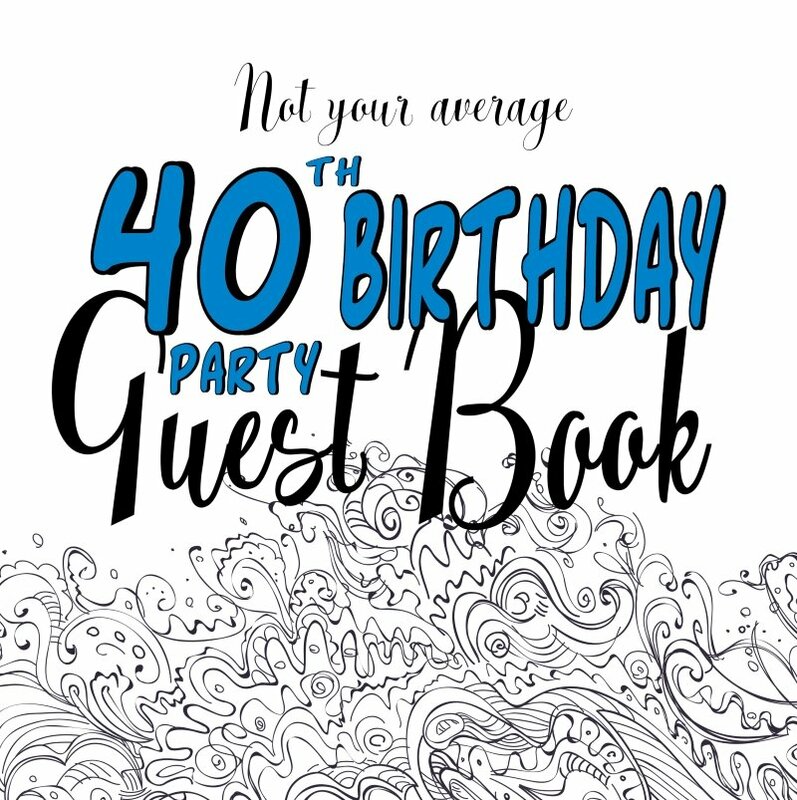 The invites are free - so do print out a few extra in case you need them. 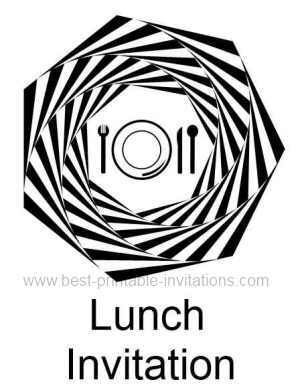 Don't forget to tell everyone how long the lunch will last - they may need to make travel arrangements - or give excuses to their boss! If you are hosting at a restaurant, then they should be able to give you an estimate for how long you will be there. 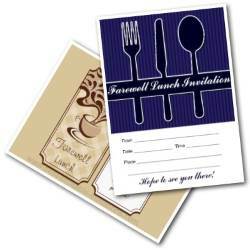 I hope you like this invitation and it works well for your event. If it isn't quite what you wanted then I do have more available. Check them out below.